Industrial Media Blasting – Clinton Township, MI. Industrial Media Blasting that keeps your delivery schedule on track! Supreme Media Blasting is the perfect choice for your industrial media blasting project. Our staff and crew strive to deliver the utmost in quality media blasting. Professional results from an efficient and experienced crew puts us in a unique position to help you attain your company’s goals. We understand the often fast paced schedule of Industrial media blasting jobs. Supreme Media Blasting is more than willing to step up to the plate and go to bat for your company. From the smallest of project to the biggest, we have the square footage to accommodate just about any and all projects. We also carry a large selection of blasting materials and are sure to have a blasting material that will fit your company’s needs. When the job absolutely has to be done right and on time, it’s time to call Supreme Media Blasting at (586) 792-7705. 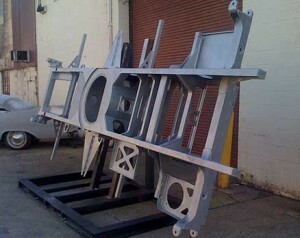 Under the Supreme family of services you can also find finishing and welding services to help with your project needs. For the most durable of finishes, see our powder coating company at Supreme Powder Coating. And for your welding needs, feel free to visit us at Supreme Welding.